"Bouchereau Lingua International Montreal French - 7% discount on any course"
BLI takes the language learning process outside the classroom, by offering the students a wide variety of fun and interesting activities and a quality Homestay program that will allow the students to take their learning experience to another level, learning in the real world. Another aspect of a BLI learning experience is tailoring and customization of programs that will help the students learn around their personal interests, in a friendly environment, with the opportunity to engage with fellow BLI students from all over the world. For more than thirty-six years we have helped thousands of students from all over the world to fulfill their dreams and to become global citizens. Every one of us, BLI educators, administrators and coordinators, are looking forward to welcoming you at one of our schools and to be at your side in this great life experience: "learning a language abroad". Perfect for the working professional with evenings free to improve their language skills. This option will give you an opportunity to review and practice all aspects of language learning, covering all four skills (reading, writing, speaking and listening), grammar and vocabulary. The approach is very communicative and the classes are designed to be dynamic and engaging. As well as covering the four skills (reading, writing, speaking and listening), grammar and vocabulary in a student centered and communicative setting, you will have the chance to develop both your fluency and accuracy through daily workshops designed to reinforce and the language you studied in the morning. For students who want to take their language learning to the next level, this option builds on the daily skills and language focus with an opportunity to develop in specific areas. Through a combination of Task Based Learning and traditional skills lessons, you will be a part of a class with a specific goal in mind where all areas of language use are activated naturally and effectively. Super Intensive classes go even further! Here you will work closely with your teacher in smaller groups to help you reach your goals outside of the school environment. You might be learning Transferable Skills such as how to deliver an effective and engaging presentation, or furthering your career by studying International Business French or Exam Preparation; with the Super Intensive package, you are learning more than simply French! For students who have a full schedule in the daytime and who want to take their language learning to the next level, this option builds on the skills and language focus with an opportunity to develop in specific areas. Through a combination of Task Based Learning and traditional skills lessons, you will be a part of a class with a specific goal in mind where all areas of language use are activated naturally and effectively. Are you planning on taking a Gap Year to live abroad, get some life experience, or just have an adventure? Why not come to beautiful and vibrant Montreal and learn another language at the same time? Our Full-Time and Intensive programs can take you from where you are to where you need to be and give you language skills that will benefit you for the rest of your life! All while experiencing a unique bilingual culture and living within striking distance of some of the most exciting cities in the world! Our Flap program is a unique opportunity to improve your French communicational skills. Thanks to our highly competent and dedicated teachers, and to the energetic counselors and coordinators, we offer quality instruction built around entertaining cultural and recreational activities. Students will take 24 French lessons per week. French as a second or foreign language classes are offered at different levels. Instruction is student-centered and based on the communicative approach. Our teachers are native speakers of French and have formal training in second language education. BLI summer and winter vacation program is a fun and exciting way for you to learn French. Classes are aimed at building confidence when using English in everyday situations. We offer accommodation with carefully selected host families, with direct access to the school by public transport. The activity program combines all kinds of activities designed to keep you engaged and inspired. 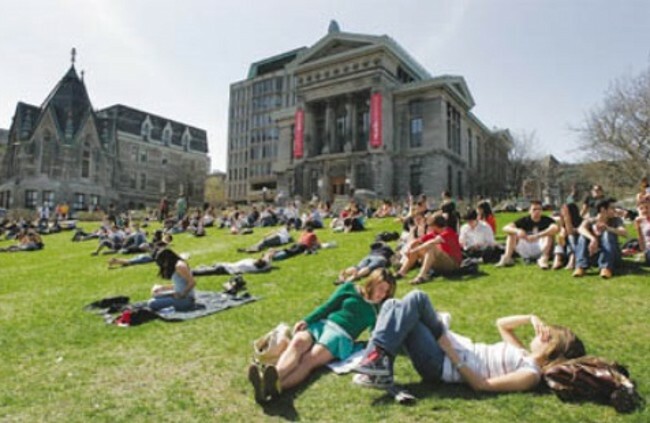 This program is designed to make your admission to a Canadian college or university easier. This course provides advanced FSL students with the opportunity to improve their academic listening, speaking, reading, and writing skills. Upon completion of the program, students will be able to analyze academic materials critically and to express themselves fluently, accurately and logically, both orally and in writing. This is the ideal program for students that have finished their professional studies. In this program they will have the opportunity to improve their language skills and gain a professional Canadian experience. This program will certainly be of great benefice for any professional resume. *Minimum duration: 8 weeks of language courses + 8 weeks of work experience. This program is ideal for students who have a good sense of responsibilities, that are dependant and that have a desire to integrate the practice of the studied language to all spheres of their lives. *Age: The student must be between 18 and 35 years of age. *Language: Bilingual; French and English. 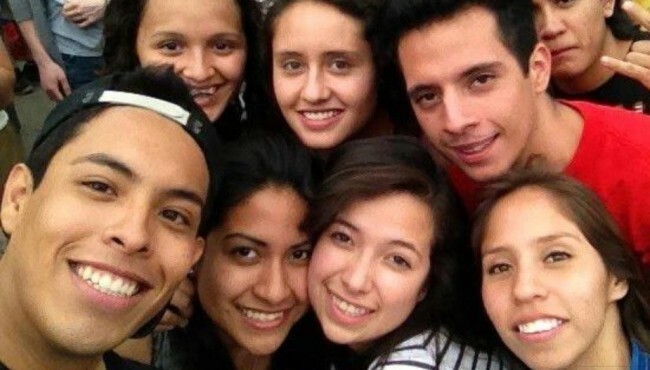 This bilingual program could be the most special and exciting experience of your academic life. 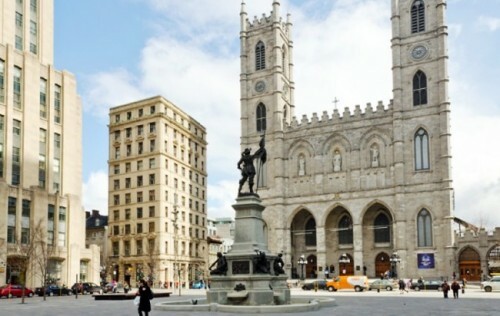 It gives you the opportunity to achieve a high level of both the English and French languages, and of living in two beautiful Canadian cities: Montreal and Quebec. You may complete part of your program in Montreal, in either an intensive or super intensive English program in one of the most important bilingual cities of the world, Montreal, and complete the latter half in Quebec - in either an intensive or super intensive French program. This program offers a unique opportunity to combine your studies with discovering what Canada has to offer through an excellent traveling experience. You study French, followed by a full week of touring with your classmates. BLI offers customized programs for groups to suit any collective or individual need. If you represent a school, are a teacher or a company, or you simply wish to travel by group to Canada, we will prepare a program based on your specific needs and criteria.